Candles, lit by activists, protesting the killing of Saudi journalist Jamal Khashoggi, are placed outside Saudi Arabia's consulate, in Istanbul, during a candlelight vigil, Thursday, Oct. 25, 2018. 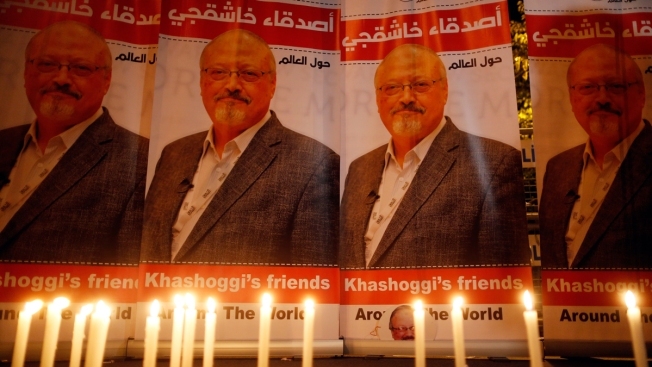 A group of Arab and international public, political and media figures are establishing a global association called "Khashoggi's Friends Around the World"; "to achieve justice for the freedom martyr." Turkey on Friday intensified its demands for Saudi Arabia to extradite 18 suspects in the killing of journalist Jamal Khashoggi, a call that is likely to be met with resistance from the kingdom and could escalate tensions between the U.S.-allied regional powers.